Savor your space. Like a fine Bordeaux, a recycled Padauk floor from Staybull Flooring® offers rich reds and dark purple color. This species of exotic hardwood can be enjoyed by anyone and fits with any space. Staybull® creates African Padauk flooring that is both multi-faceted, captivating and will complement your refined taste. When you also consider what goes into making this innovative green building material, you’ll see just how much potential your modern or contemporary home can have. Get a free quote of eco-friendly Padauk Staybull Flooring®. 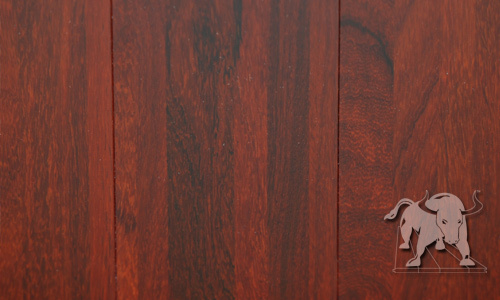 Padauk heartwood varies from a light-red to vivid blood red with some black streaking. Grain is straight to interlocked. Texture is similar to African mahogany, being slightly open grained.